Graeme Austin joined the Melbourne Law School in July 2011 after serving for nearly ten years a tenured professor at the University of Arizona, most recently as the J Byron McCormick Professor of Law. He has held academic positions at Auckland University and Victoria University. He holds an LLM and JSD from Columbia Law School, with first degrees (LLB, LLM, BA(Hons)) from Victoria University of Wellington. A member of the New Zeland Bar, he holds a current practising certificate as a Barrister Sole. 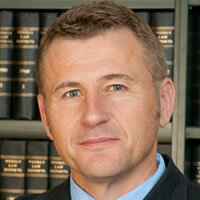 Between 1999–2001, he was a senior solicitor at the Auckland office of Chapman Tripp. An elected member of the American Law Institute (ALI), he recently served as an adviser to the ALI's project on cross-border enforcement of intellectual property rights. He has written many books and articles, focusing recently on enforcement of intellectual property across international borders. His most recent book is Human Rights and Intellectual Property: Mapping the Global Interface (Cambridge U Press, 2011 – co-authored with Larry Helfer (Duke)). In 2010 he was selected by Cambridge University to deliver its 5th annual Hercel Smith lecture on international intellectual property.